Please read these Terms and Conditions carefully before purchasing goods and services from headoffice3. We are a limited company, registered in England. Our registered company number is 7159482 and our registered office is at Cartelli House, 3 Hawthorn Park, Leeds, LS14 1PQ. 1.3 We reserve the right to change these terms and conditions from time to time by changing them on the Site, although no such change will affect any order you have already placed. 2.1 Products may be ordered via submitting an order by following the link to the online order form. You may also submit an order via email by sending your completed order form directly to sales@headoffice3.com. You may check and correct any input errors in your order up until the point at which you confirm your order by submitting payment via one of the agreed payment methods available. 2.2 After placing an order, you will receive an email acknowledging that your order has been received and giving you an order reference number. Please note that this does not mean that your order has been accepted. Your order constitutes an offer to buy Product(s). All orders are subject to acceptance by us. We are not obliged to accept your order and may, at our discretion, decline to accept any order. You do, however, acknowledge that by submitting an order, you enter into an obligation to pay for the Product(s) in the event that your order is accepted. Once your order is accepted, you will be sent an email that confirms that the Products have been despatched (Despatch Confirmation) or that an installation date has been discussed and confirmed. The Contract between you and ourselves is in relation to the Products ordered and will only be formed when the Despatch Confirmation is sent. After entering into the Contract, we will be under a legal duty to supply you with goods that are in conformity with the Contract. 2.3 The Contract will relate only to those Products whose supply has been confirmed in the Order Confirmation. 3.1 Your order will be fulfilled by the delivery date set out in the Order Confirmation or, if no delivery date is specified, then within 30 days after the date of the Order Confirmation, unless there are exceptional circumstances or an alternative installation or delivery date is agreed. 3.2 Your order will be delivered to the United Kingdom delivery address you specify when placing your order. 3.3 You are responsible for making sure your delivery address is correct. If the delivery address is a business address, please ensure the business name is specified in the first address line. If your address is geographically remote, for example certain outlying islands or other isolated locations, it may not be possible to deliver there. If that is the case, you will be notified before your order is accepted. Orders cannot be delivered to PO Box or similar addresses. It is your responsibility to arrange for an appropriate person to take receipt of the delivered goods. 3.4 Products comprised within the same order cannot be delivered to different addresses. 3.5 Orders are delivered by our selected courier. Courier deliveries take place on Monday to Friday, excluding bank and public holidays, usually within the hours of 8am and 5pm. It is not possible to specify a precise time at which a delivery will take place. Please note that the courier may require a delivery to be signed for. 4.1 Products ordered will be at your risk from the time of delivery. Ownership of the Products ordered will also pass to you on delivery, provided full payment of all sums due in respect of the Products, including any delivery charges, has been received. 5.1 The price of Products is as quoted on the Site from time to time. 5.2 Prices exclude VAT, which will be added (at the cost shown) to the total amount due. 5.3 Prices and delivery costs are liable to change at any time, but changes will not affect orders in respect of which an Order Confirmation has already been sent. 5.4 Payment must be arranged by BACS transfer by calling our team on 0113 257 7777 and providing the relevant details. Once payment is received for the Products, despatch of the goods will be arranged in accordance with the terms and conditions. 6.1 You may cancel a Contract at any time before your order is delivered and up to 28 days afterwards, beginning on the day after your order (in its entirety) is delivered to you. 6.2 If you cancel, you will receive a full refund of the price paid for the Products in accordance with the return/cancellation policy (see below). in writing or by email to sales@headoffice3.com, giving us your name, address and order reference. 6.4 You must also return the Products within 28 days after the day of cancelling, in the same condition in which you receive them, together will all the original packaging, labels and tags. This does not affect your right to take reasonable steps to examine the Products, including taking them out of the packaging. 6.5 You have a legal obligation to take reasonable care of the Products whilst in your possession. If you fail to comply with this obligation and you return the Products not in the same condition in which you receive them (for example, they are returned stained, marked, or showing other signs of having been damaged after receipt of the goods), then the cost of any such deterioration, up to the full purchase price of the Product, may be deducted from any refund to which you are otherwise entitled. This may mean you receive no refund at all. 6.6 You will not have any right to cancel a Contract for the supply of any Products that have been personalised or made to your own bespoke specifications (if such options are offered), unless such Products were damaged or faulty when delivered to you or have been incorrectly delivered. 6.8 You are advised to take out enough postal/carriage insurance to cover the value of the contents. Please save your proof of posting/despatch and tracking information until your refund has been processed. You will be responsible for the cost and risk of returning the Products. Unfortunately, Products cannot be returned to any store. 7.1 If you cancel a Contract within the 28-day cooling-off period (see above), the refund due to you will be processed as soon as possible and, in any case, within 14 days after the day on which the Products are received back or, if earlier, the day on which you provide evidence that you have returned the Products to the returns address (see above). The full price of the Products will be refunded to you, in full (subject to any deduction we are entitled to make due to your use of or damage to the Products), including the cost of standard delivery. However, your cost of returning the Products will not be refunded. 7.2 Refunds are made using the same method originally used by you to pay for your purchase, unless agreed otherwise. 9.1 Whilst reasonable steps have been taken to depict Products as accurately as possible through the photographs and other images featured on the Site, the detailing (such as colour etc) you see on-screen will depend on your monitor and, as such, may not exactly reflect the actual detailing of a Product when you receive it. 10.2 Subject to this, in no event shall we be liable to you for any business losses and any liability we do have for losses you suffer arising from any Contract shall not exceed the purchase price of the relevant Products and is strictly limited to losses that were reasonably foreseeable. Losses are foreseeable where they could be contemplated by you and us at the time your order is accepted. 10.3 We will not be liable or responsible for any failure to perform, or delay in performance of, any obligations under any Contract that is caused by events outside our reasonable control, save that nothing in this clause 10.3 shall in any way restrict your statutory rights. 12.1 You may not transfer or assign any or all of your rights or obligations under any Contract. 12.2 All notices given by you must be given in writing to the address set out at the end of these terms and conditions. We may give notice to you at either the email or postal address you provide when placing an order. 12.3 If we fail to enforce any of our rights, that does not result in a waiver of that right. 12.4 If any provision of these terms and conditions is found to be unenforceable, all other provisions shall remain unaffected. 12.5 These terms and conditions may not be varied except with our express written consent. 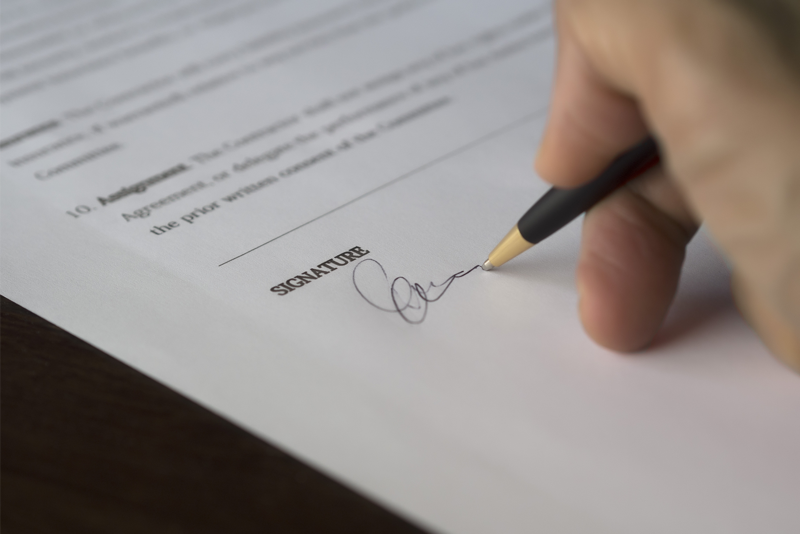 12.6 These terms and conditions and any document expressly referred to in them represent the entire agreement between you and us in relation to the subject matter of any Contract. We are required by law to advise you that Contracts may be concluded in the English language only and that no public filing requirements apply.